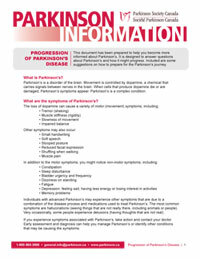 This document has been prepared to help you become more informed about Parkinson’s. It is designed to answer questions about Parkinson’s and how it might progress. Included are some suggestions on how to prepare for the Parkinson’s journey.